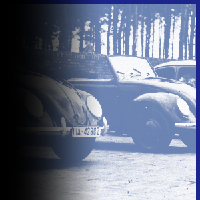 VW 1900 TDI: PD Engine Code AYR = ATD = BEW. This is a PUMPE DEUSE Engine from Europe. Sold without Turbo it is different. . This is clean engine with AC. You can choose your way to buy. AS IS $2199.00 or $2499.00 with a 3 month warranty. You always ask how can I get it cheaper. Well here you go this does not happen often. Watch the video. Jump on it. Pumpe Duese Complete used VW 1900 TDI Engine 131 HP. This is a direct replacement for the ATD or BTW High performance version. 1900 TDI Vw complete good used engine with AC. Great for the replacement on your 1999 through 2004 model Jetta, Passat, new Beetle and some Audi models. if your doing a conversion call me we can discuss futher. This is a great engine came out of running vehicle in Germany. VW 1900 TDI ALH Complete used running engine. Low miles. Fairly clean with AC. This is a great running engine. CALL FOR MORE INFO. JUMP ON THIS ENGINE. TDI VW 1900 Longblock. Used. Low miles 84,200. This longblock does have injectors. Call for more information on this or come in and physically see it. 760-241-9504. We ship nationwide to a shop or you can pick up at a terminal. Nationwide shipping or will call available. This is a complete AJM Engine. It is same as the BEW but has 115 HP and 210 Ft. Lbs of torque. So this would be a good choice for the price to upgrade your existing BEW or other application if you are mechanically inclined. Our MECHANICS SPECIAL of the week. This is one way to get an engine at a better price. It does have a broken mounting hole. Call me we can discuss futher 909-391-6979. I am selling this unit AS IS. NO TURBO. Call me for more info. 2000 Passat and later 1900 TDI engine 130 Horsepower, ATJ Code. LOW MILES, VERY LOW MILES. If you need to get your Passat on the road HERE YOU GO. I am going to sell this AS IS $1899.00. If you want it with a warranty it will cost you more but will do it call me. It just seems everyone wants cheap but I cannot give my stuff away. I pay alot to find the vehicles in Germany, go there, buy, transport, drop the stuff, load the container, get it here, unload, seperate, clean, look over, etc. before put into inventory. 1900 TDI: ALH complete used engine from germany. Running and low miles; This is a very clean engine. They are not oozing with filth. You can see this for yourself in photos and videos. Strong runner. Call us for more information or come on in. Nationwide shipping to a ship, terminal, residence (additional charge for liftgate and residence). VW 1900 TDI Used Longblock. VW 1900 TDI used longblock. It does have the Turbo and pump but they are damaged. Call for more info. This is the 110 Hp version of the ALH. So this is from Europe. More power. Enjoy your ride a bit more in that Jetta, Passat, Golf, Beetle, conversion. Audi A3: This came out of an Audi A3 and is the AGR engine code. It is the same as the ALH engine. The two turbos are different. This price does not include the Turbo if you need it that is extra. This is a Great running engine. 1900 TDI Good used complete VW Engine AHF which is the same as the ALH but with 110 HP. This particular engine came out of an Automatic VW . Low Miles. Godd running vehicle. VW 1900 TDI ALH Complete good used running engine. Nice runner, dirty vacuum pump broken. BEW OR ATD or AXR: This is a very low mileage engine Miles: 52,000. VW 1900 TDI, No turbo on this engine. You choose how you want to purchase with or without warranty. This is a complete VW 1900 TDI engine. These came in the 1999-2004 VW models, Golf, Jetta, Passast, Beetle, Audi and are often used in conversions. Call me we can discuss if this engine is right for what you have or what you may be doing. The code is ALH. Its not the cleanest motor I have but its not filthy. I do take time to clean them up a bit as I am sure you have already noticed. No pump, the timing cover is broken you can use yours. VW 1900 TDI Engine complete ALH: Alt. tensioner is broken. VW 1900 TDI Pumpe Deuse. Engine Code ATD: Oil filter housing Broken Same as BEW. Sold without Turbo. $1999.00 AS IS. In business since 1984. Direct importer from Germany. ALH VW 1900 TDI LONGBLOCK ONLY. I am sellling this AS IS to offer an option of a way to get it cheaper. VW 1900 TDI the European version AXR of the BEW and ATD. The oil pan is bad on it but we leave it on for transport purposes. Engine doese NOT INCLUDE THE TURBO. You will need to use yours. Call for more info we can discuss this engine futher. Vw 1900 TDI: ALH complete good used engine. Good Runner. VW 1900 TDI Pumpe Deuse Engine. This is the most powerful Pumpe Deuse made by VW. 150 HP. This is with the computer. THIS SALE DOES NOT INCLUDE THE TRANSMISSION. However if you want the transmission it will be an additional $400.00. VW 1900 TDI used complete engine with the computer. It is pretty clean. the Code is ASZ and will replace the BEW or the ATD engine code. Call me for more info. 131 Horsepower. VW 1900 TDI Used Longblock: ALH. This is a great way to go if you have your old engine and just need the longblock. Not to often I have just the longblock to offer. VW 1900 TDI Complete used engine: ALH Strong Runner, dirtier then most. This engine is for that customer who is not into looks but a good running engine at a reasonable cost. Call for more into on this engine or any in our inventory. We ship nationwide. We welcome will call customers. VW 1900 TDI: ALH Clean w. AC, This is a Strong Runner and very clean almost no oxidation which is weird since they all have it....its Germany after all. This is your choice you can buy with or without the warranty. This is one way I can offer you some savings. YOU CHOOSE. Nationwide shipping. Will call availble. Call us anytime. VW 1900 TDI Complete used engine w. AC. This is an ALH. 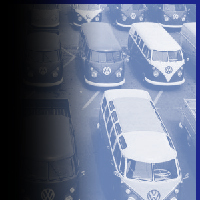 They came in 1999-2004 model VW's and are used in various conversions. Boy have we seen some things. Call me we can discuss this engine a bit more 909-391-6979. Three mounts, the oil pan is bad on it but will stay on it for shipping purposes. You must change it. I am selling this engine as is no warranty for those who always say "Anything Cheaper?" Here you go.